Has Your Street Been ‘Blacklisted’ By Road Gritters? Councils across the UK are warning that roads will not be gritted if cars are parked dangerously, putting innocent drivers at risk in the middle of the current cold snap. Two councils have taken to social media this week to warn that if routes are blocked then they could be ‘blacklisted’ and removed from the network of roads which need to be gritted. A decision which is angering motorists. Kent County Council Highways division used their Twitter account, @GrittingKent, to demonstrate the problems they are facing, with an image of a road with cars doubled parked, making it almost impossible for the gritter lorry drivers to squeeze through and drop the vital salt which could keep the road safe to drive on. “Once again we need to remind motorists to be considerate when parking on primary salting routes,” the tweet said. “On a daily basis crews over the county are reporting obstructions on routes. If we can't get through on multiple occasions then there is a chance of roads being removed from routes. The moves from local councils is sure to anger those who park sensibly, one resident said in the Metro: "It means everyone, including innocent people who have nothing to do with the badly parked cars, will be punished and suffer. 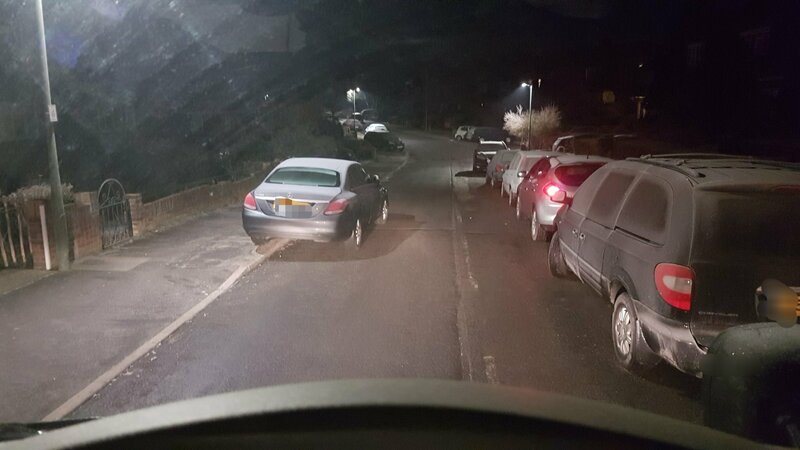 Though parking on kerbs is generally accepted outside of London, parking opposite another vehicle in a narrow road could be deemed dangerous and drivers are urged to take a common-sense approach.